When Sara was considering a party for her 11th birthday, she learned of G.I. Wishes. 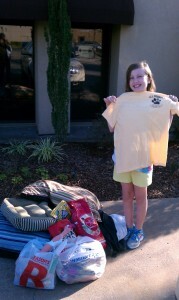 She and her mother decided to ask all for her friends attending her party, to donate items for G.I. Wishes, instead of birthday presents for Sara. 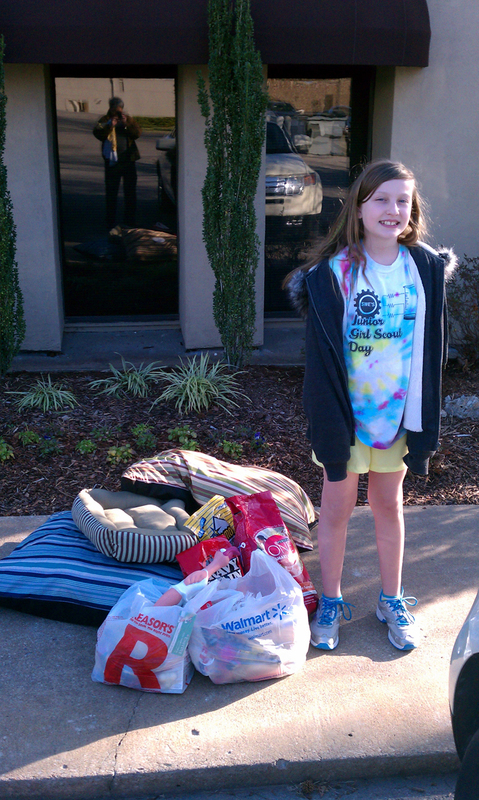 This young lady decided she wanted to do something for Vets and Pets rather than for herself. 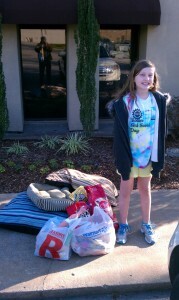 Sara is pictured standing beside all of the donated material. The second picture shows her holding up a G.I. Wishes T-shirt, her reward for this selfless act. Her real reward was the feeling she had in doing something for Veterans and animals. Sara, we applaud your spirit of giving. Thanks for all you and your mother did.